Srinagar: On Tuesday, January 9, Jammu and Kashmir Board of School Education (JKBOSE) declared the result of students appeared in 10th class examinations. Over 62 percent students were declared successful. A BOSE official said that 69,056 students including 35,997 boys and 33,059 girls appeared in the examinations of which 63.33 percent boys and 62.52 percent girls passed which included Insha Mushtaq, who was hit by pellets on the evening of July 11, 2016, when she opened a window to look outside her home in Sedow village of south Kashmir’s Shopian district. She has qualified the 10th standard examinations and is looking forward to taking up medical subjects and become a doctor. “She is very happy. She passed the exam despite taking help from a dictator. I have been receiving congratulatory calls since yesterday,” Insha’s father Mushtaq Ahmed Lone told TwoCircles.net over the phone. Mushtaq further says that he will send her to Srinagar for further studies. 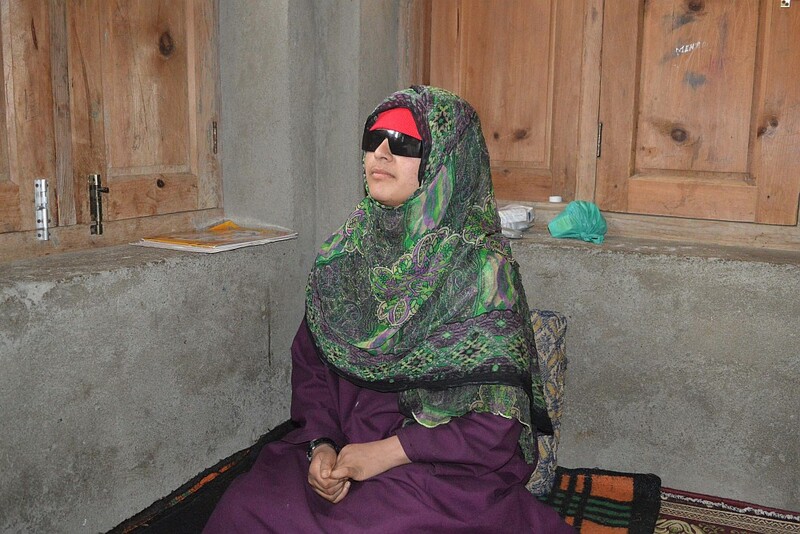 “I was at home when I was hit by hundreds of pellets, mostly on my face.They (pellets) even went inside my mouth,” Insha was quoted as saying in an Amnesty International report titled “Losing Sight in Kashmir” on the impact of pellet-firing guns. The report had also noted that many school and university students who had been hit in the eyes continue to have learning difficulties. Insha was lauded by the former Chief Minister Omar Abdullah under whose regime the pellet guns were introduced in Kashmir and separatist leader Mirwaiz Umer Farooq. More than 200 people hit by pellets fired by security forces during street protests in 2016 lost their vision either permanently or partially. The unrest began on July 8, 2016, when Hizbul commander Burhan Wani was killed by the security forces in Anantnag district.